When season 2 of Mr. 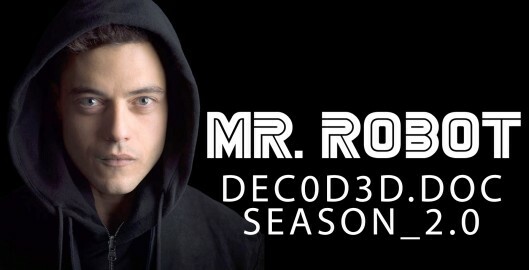 Robot premieres this summer, it will pick up after fsociety’s cyber-attck on Evil Corp, but will Elliot ever recover the memories he lost in those three days? According to the first official trailer (and the words of POTUS), the effects of the 5/9 hack will impact the economy in “extraordinarily significant” ways, as the new season of Mr. Robot explores themes of revolution and the illusion of control. Starring Rami Malek, Christian Slater, Portia Doubleday, Carly Chaikin, Martin Wallström, Stephanie Corneliussen, Michael Cristofer and Grace Gummer. Season 2 returs to USA Network July 13th, 2016.Return to Thumbnail View.